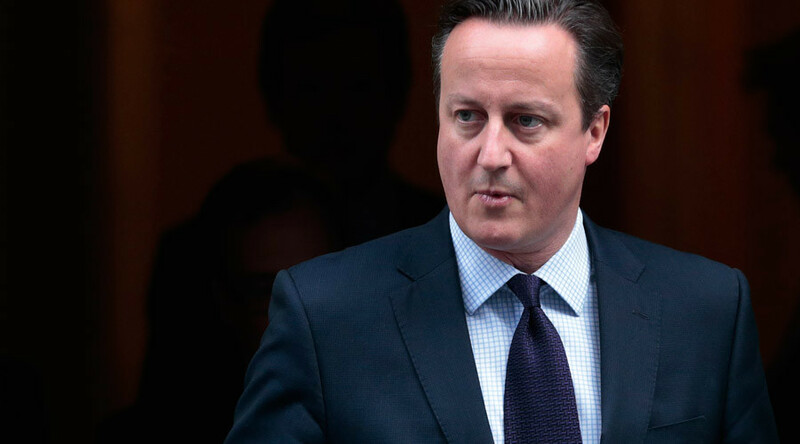 David Cameron said the UK shouldn’t subcontract security. I say we should not make ourselves hostage to the actions of others, says Peter Ford, former UK ambassador to Syria. RT: Will the UK Prime Minister David Cameron manage to convince Parliament that Britain should join the aerial campaign against Islamic State forces in Syria? Peter Ford: His case was very unconvincing. He put forward, I would call, a deceitful sort of strategy – a strategy trompe l'oeil - designed to deceive the eye. This is what that strategy is. For example, he claimed that the Syrian opposition forces could put 70,000 men in the field against IS and he gave the impression the most of these were under the command of the so-called Free Syrian Army. This is straight-forward deceit. I choose my words carefully – the FSA is a laughable front organization for jihadists. It can only itself put about 5,000 men in the field. The idea that this would be the cornerstone of a ‘boots on the ground’ force to drive out IS and accompanying airstrikes is laughable. RT: Will the British public buy it? PF: Not if Labour are up to the job of pointing out this deceit. The government is also being deceitful and not coming clean about the increased threat to the people of Britain; we’ll have to go onto higher alert. If we go ahead with bombing we can state with 99 percent certainty that there is going to be an outrage on the streets and markets and stadia of Britain as there was in Paris. RT: At times like this when France and Belgium are in so much fear and stress now, and UK is part of Europe, shouldn’t it stand shoulder to the shoulder with its European counterparts? PF: Not. No one consulted Britain when France decided to start bombing IS in Syria. They didn’t consult us before indulging in this adventurism. We should not be dragged into the Syrian mire. We should not make our security hostage to people like the French, the Americans, the Saudis and the Turks who want to pursue an adventurous policy. Cameron said that we shouldn’t subcontract security. I say we should not make ourselves hostage to the actions of others. RT: Would Britain’s interference make much of a difference to the situation in Syria? PF: Absolutely not. Even the government is hard put to make out a case that it will make any significant military difference. This is why they are having to resort to subterfuge, claiming that we have to stand by our allies. It will make no appreciable military difference. And it doesn’t stand any chance of doing so without a credible strategy for having ‘boots on the ground’. RT: David Cameron says a campaign would not repeat the fate of the air strikes in Libya back in 2011 which brought the country to ruins. Are you buying that? PF: No way. Who is he to say? He talks about sending 70,000 opposition forces. By the way, at least 90 percent of those are jihadis - a slightly different persuasion from IS, but they are Islamist fundamentalists radicals supported by Saudi Arabia, Turkey, Qatar. These are the people that he wants to put in place of Assad. These are the so-called moderates. We saw these moderates three nights ago on television when they downed the Russian plane, shot the pilot descending in his parachute and then pulling the corpse like hyenas. These are the moderates in the book of Mr. Cameron. That is no replacement for the responsible Syrian government that we need to see.